So, I did my morning forecast, as usual, and decided that the triple point is sort of on the way home, so I’d drift northeast from Springfield and see if anything happened. 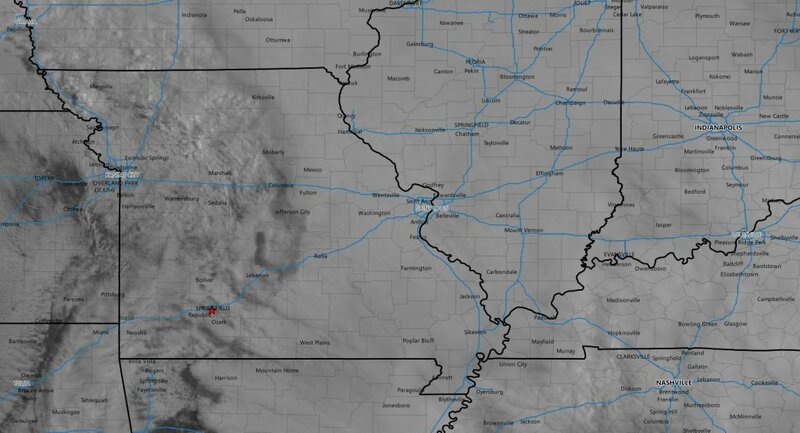 The morning satellite left a lot to be desired as a ton of clouds blanketed the entire midwest and it was apparent that convective overturning from the night before was probably going to limit any severe chances in the northern sections of the SLGT risk area. Nevertheless, models were forecasting a surface low to trundle across Missouri following an east/west oriented warm front. 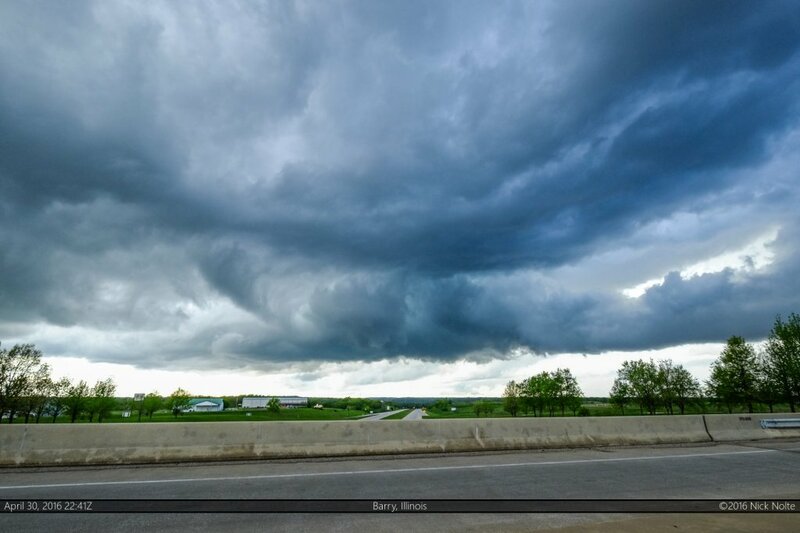 Meanwhile, a broad upper trough was rotating across the Central Plains bringing a belt of stronger south-westerlies into the Mid-Mississippi Valley. 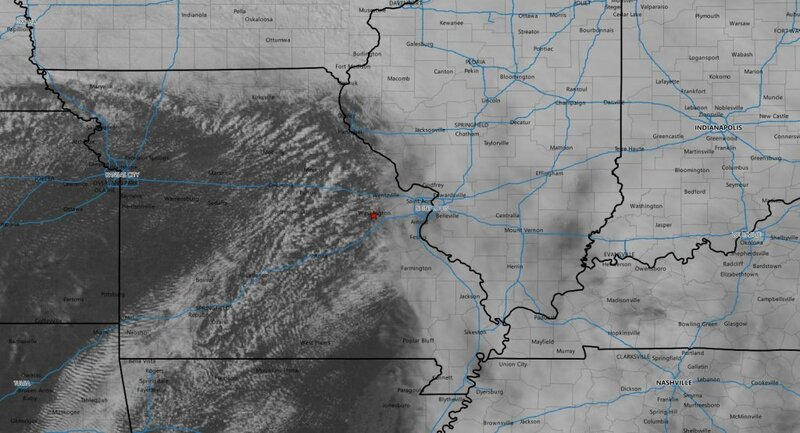 The western extent of the thick cloud deck was noted on the 14z satellite across central Missouri from Kirksville south to Rolla then southwesterly to Springfield. My gameplan was to take I-44 northeast and stay just west of the boundary and hope the lower clouds across Western Missouri would burn off as they migrated east. Sure enough, as the day wore on the clouds behind the overnight cloud shield burned off and gave way to some sunshine which destabilized the atmosphere. The SPC issued a mesoscale discussion for the area south of me for a potential severe thunderstorm watch. I decided that I’d stay north to play the triple point and hope for better low level shear there and along the warm front despite being left out of the discussion, also because north was closer to home. With the agitated cumulus field expanding to my north, I felt pretty good about my decision to continue on that way and eventually a storm went up near Montgomery City right at 20z. 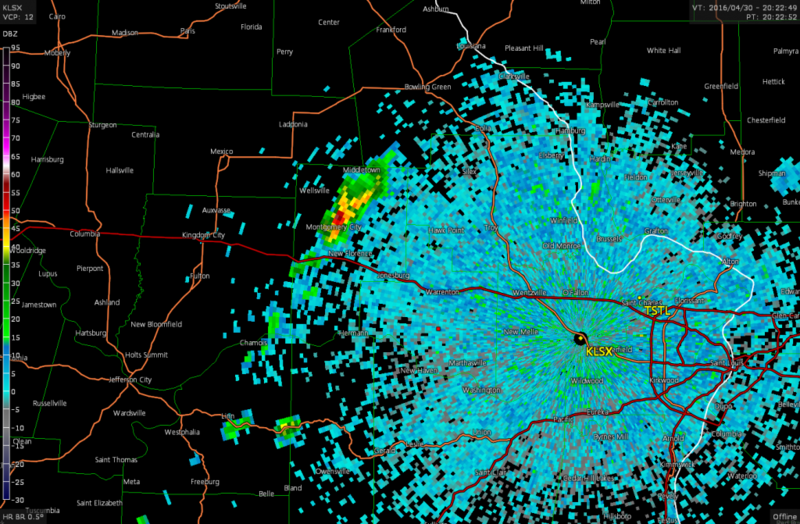 I was only 25 miles away from initiation so I headed towards the storm to intercept. First visuals of the storm revealed a ragged base with not much definition. I continued to track along with the storm but would soon be faced with the obstacle of the Mississippi River and whether or not to go south or north to cross before meeting up with the storm again. 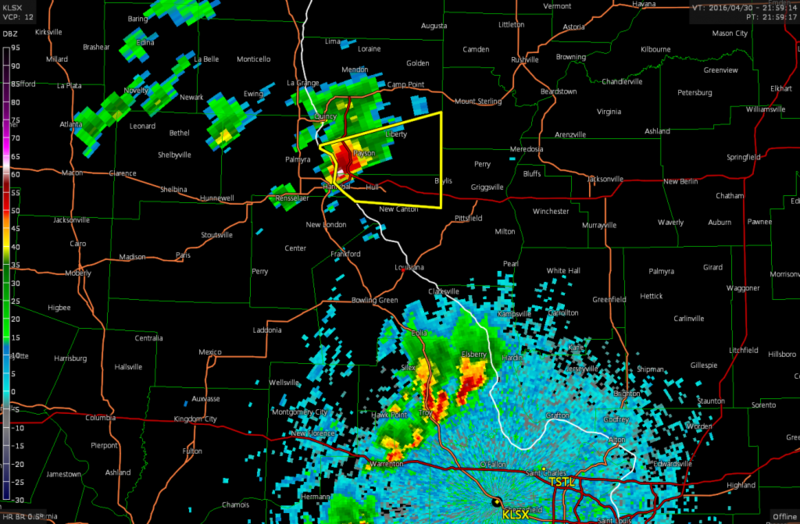 As I approached US-61 another storm popped to the north up by Hannibal while the storms I was following weren’t very organized. I made the decision to go north to cross the river at Louisiana. So, I pulled off the storms I had been tracking for the last 90 minutes to bail north. 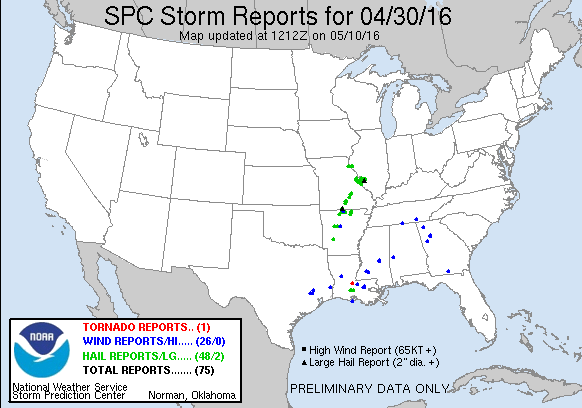 As I pulled into Louisiana the northern storm went severe warned while the southern storms struggled to survive. That made my decision easier to head north once I crossed into Illinois. This was about the best the storm looked on radar as it peaked shortly after this and started to die. I finally got a decent look at the storm near Barry and it was pretty clear it was about to call it a day. I kept up with it for a while while it pulsed up and down on the radar but eventually gave up on it shortly before 0z and began the trek home! No tornadoes on this week long trip to The Plains, but I was sure to be back out again soon!